That’s right, a new project! Since all the upgrade to our home’s electrical system has been completed, I now have an adequate power supply to my work shop and Vacuum Former! This is going to cut down greatly on set up time and will really make the whole experience more enjoyable. With that said, he’s the front half case shell of the new portable. 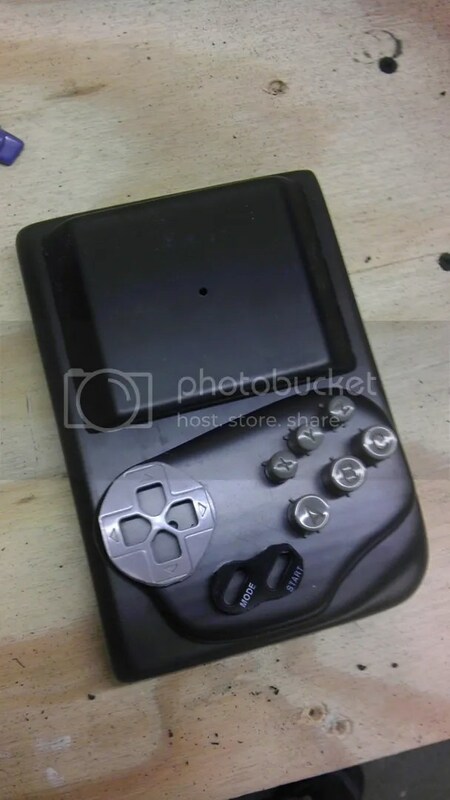 This is probably one of the smallest and sleekest that I’ve made and it uses that same mold that my Mario/Zelda portable used. I don’t have the back formed yet as I’m not sure how thick it’s going to need to be but the front half looks like most will be able to fit in it as it is. So I may be able to make this overall thickness a little more than an 1″! But the foot print of the Sega 3 is very small. But in any case, here’s the pic and I’ll be updating you as I go along!